vasFMC – why do I need a freeware FMC? If you are not sure why would you need vasFMC – start here. If you are just looking for an installation or configuration guide – skip this part. Currently (real world) planes are equipped with systems allowing them to fly direct routes between any two points on earth. They are independent from any ground navaid-network and do not have to follow VOR radials like they did two decades ago (and earlier). FSX allows you to do that using GPS. Unfortunately, a simple GPS included in FSX has limited capabilities and outdated navigation database. To follow real world procedures a pilot needs an FMC that is usually included in high-end payware add-ons. Unfortunately for general aviation pilots – there are no GA planes equipped with a GPS that can be updated with the current air routes, waypoints and procedures. That eliminates GA pilots from IFR flights on the networks like VATSIM and IVAO or forces severe restrictions upon them when they choose to fly using RNAV air route systems. If you want to fly (almost) any plane you choose with a navigation system that accepts Navigraph’s or Aerosoft’s AIRAC – vasFMC is for you. Although I wrote this text as a troubleshooting guide – I suggest you follow my installation manual. The project was suspended but the files can be legally distributed. I use vasFMC 2.1 gauge and this version will be described in this text. In my manual I asked you to install vasFMC standalone version – keep it as a backup and for troubleshooting. After vasFMC installation and before it is launched for the first time, install new AIRAC from Navigraph or Aerosoft (Navdata). MCDU (Multifunction Control Display Unit) – a keyboard with a small screen – data entry and display. FCU (Flight Control Unit) – altitude, speed and autopilot mode selectors (among others). PFD (Primary Flight Display) – where your speed, altitude, heading and attitude indicator are displayed. UECAM (Upper Electronic Centralised Aircraft Monitor) – engine data, fuel, flap indicator, warnings and alerts. ND (made larger) and FCU in F-16. Holding over the airport while flying on Vatsim. How to add vasFMC to your plane? …go to the correct folder. It happens when you edit a plane that has several models divided into folders in SimObjects/Airplanes. Alias path will show you where to look for the correct panel.cfg file. A proper panel.cfg file starts with [Window Titles]. Each Window is a 2d panel that you can open using Shift+1, Shift+2, etc. Warning: Window numbers start with 00. That means that Window00 will be opened with Shift+1, Window01 – Shift+2, and so on. Modify this file so that it looks similarly to my L-39. Create a backup copy before you make any changes to panel.cfg! 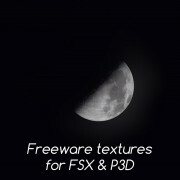 Change only parts of this file that are described in this tutorial. At this stage – do not change anything that is located in “Main Panel” / Windows00 section and under [VCockpit]” headline. Main Panel – default panel for each plane. Do not change it unless you know exactly what you are doing! If you use 2d panel instead of the Virtual Cockpit – you will need to edit this part. Otherwise I suggest you don’t. Background_color=0,0,0 – transparent background. Use this Background_color. size_mm=1024,768 – window size – make sure that all gaugeXX positions and dimensions fit in this size. position=6 – window position – explained below. visible=0 – 0 for invisible when the plane is loaded (you will need to open this panel with Shift+number). ident=19001 – window ID. Make sure that your panel.cfg does not use it twice. sizeable=1 – 1 – you can stretch the panel (click on the border and drag), 0 – fixed size. gauge00=vasfmcgau!nd,0,0,250,250, popup – gauge displayed inside this window. There may be multiple gauges in a single window – it will be explained below. This is the basic example where I use the plane that has no 2d panels. If you are editing a plane that has several panels – things get tricky – I will explain later how to mix original panels with vasFMC. popup – information for the FSX that the window is a popup panel and should not be rendered while it’s closed (this is not 100% certain – it’s an undocumented feature, explanation was found on fsdeveloper forums). Shift+7 – Radio panel (default FSX radios) (radio panel has nothing to do with vasFMC but it’s handy when I fly online and do not have time to look down on a radio panel of L-39. As you can see – I added a second gauge and I changed the window size to 250×500 pixels. I also moved the second gauge 250px down so that it does not overlap the UECAM. It’s my layout. I will not try to convince you that it’s perfect. On the contrary – I make small changes from time to time and I adjust it for planes that require a different setup. I started with ND, PFD & UECAM in a single window, but later I realized that I do not need PDF and UECAM displayed all the time (I mainly use aircraft’s gauges to get information shown on this two displays). So I divided it into three windows and in some planes I do not use this windows at all. Lower ECAM was the first panel that I deleted and never used since. How vasFMC interacts with autopilot? Usually it works very well. A/P master switch is integrated with AP button in FCU. Sometimes the autothrottle does not work. I am not sure why it does or does not work… Just test it in your plane. Sometimes you need to manually set your AP – that happens in custom autopilots – like C-130 from CaptainSim. vasFMC will steer your plane when C-130’s A/P is turned on with HDG and ALT HOLD modes engaged. Do not worry – vasFMC will change the altitude using C-130’s ALT HOLD mode. It’s similar in A2A P-51 Mustang (civilian) where you need HDG and ALT modes engaged before vasFMC takes over. It does not matter if vasFMC operates in LNAV or HDG mode – it will always be interacting with your plane through it’s build in HDG mode. If something does not work – start with checking if your A/P is turned on (master switch, A/P engage swith, mode switches). Autothrottle – vasFMC was made for an Airbus (I am not sure if it was designed for the default FSX plane of one of the freeware Airbuses). You may experience strange behavior in some planes. For example in Captain Sim C-130 autothrottle moves the throttles only from idle to full forward and all the way back. With nothing in between. Obviously I do not use A/T in C-130. Autothrottle again – vasFMC has problems with A/T settings at high speeds. In several planes I turn off A/T when flying at Mach 0.8 or faster. Military aircraft – did I say that vasFMC was made for Airbus? There is a 6000 ft limit in climb and descent and 50000 limit in altitude settings. Aircraft with a custom (and complicated) A/P – vasFMC behavior varies. CS Boeingu 707 requires a long trial and error process to get vasFMC working with it’s A/P and INS. Iris Vulcan has some stability problems… but this is a buggy plane so maybe I just need to find a walkaround… I will not try – I rarely fly this plane. On the other hand – custom A/P of A2A’s Boeing 377 works nicely with vasFMC. Planes that have no autopilot. L-39 is an example. In real world L-39 military trainers had no autopilot but many civilian L-39 have. How to enable it? 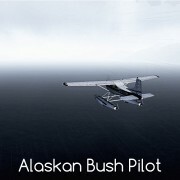 Open aircraft’s aircraft.cfg file and look for “autopilot_available=0”. Change the value to 1. If the code is missing – just copy the entire [autopilot] section from a similar plane. If you read this text and find it hard to install vasFMC – write me or comment under this text. I generally find it easy to make modifications and the perspective of a user who finds it challenging can help improve this text.